I have to say that I am surprised it took me this long to stumble upon rainbow donuts. These cute colorful treats are fun for a rainbow themed breakfast, but they could also be added to your beach party treat table. They remind me of fun little beach balls. 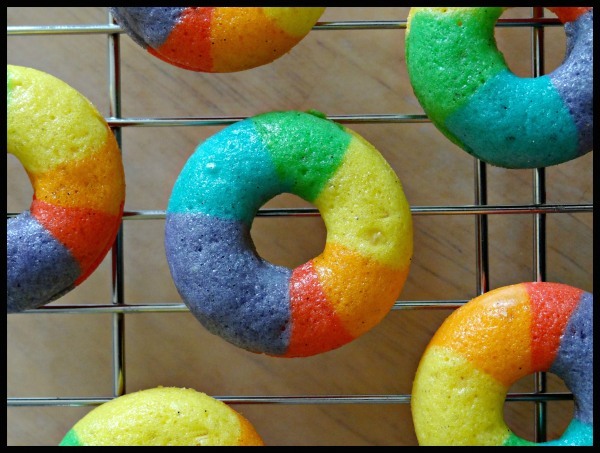 You can get the recipe for these fun mini rainbow donuts over at Just Baked.